An account is not automatically created for the email address you use to make a purchase or register for a free product. You need to create an account manually. 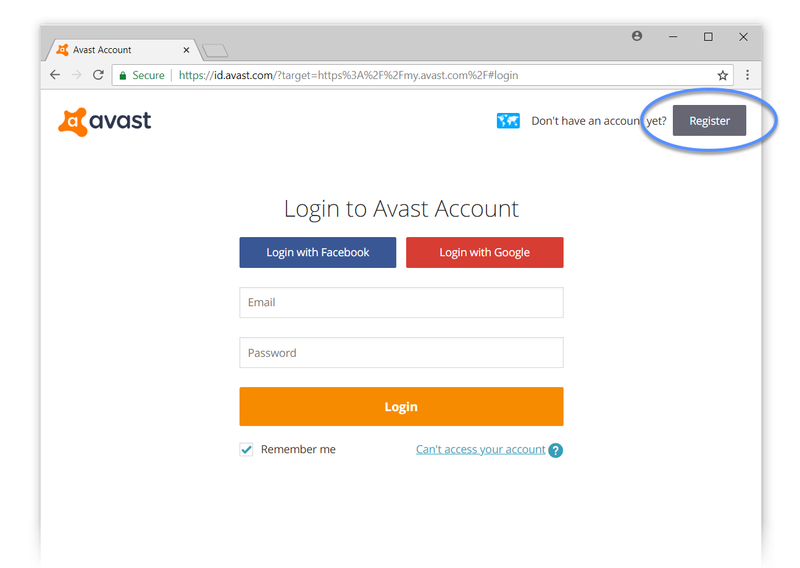 However, if you register your Avast Account with the same email address used during your Avast product purchase, your license automatically appears in your Avast Account. In your internet browser, go to https://my.avast.com and click Register. Type your email address and a password, retype your password, then click Create new account. A success notification appears when your account is created, and a confirmation email is sent to the email address you provided. Alternatively, click Login with Facebook or Login with Google to use your existing Facebook or Google+ account credentials. 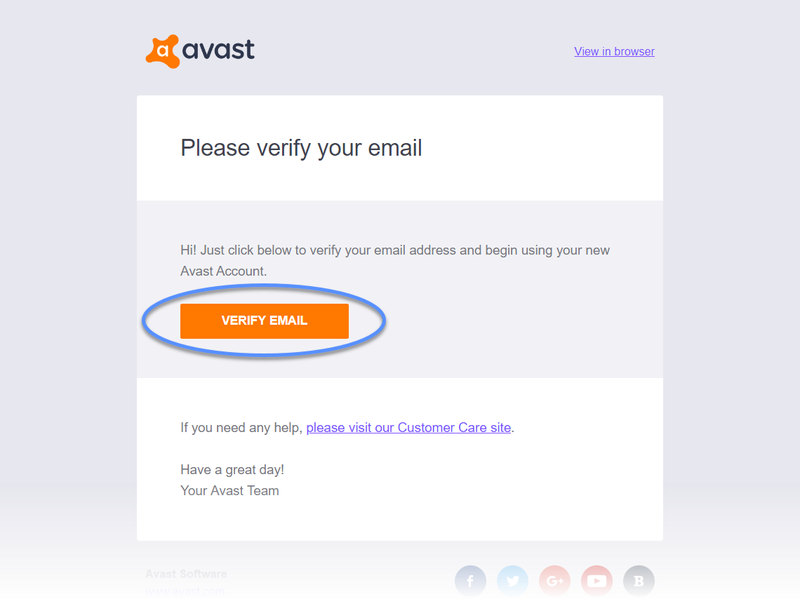 Check your email inbox for a new message from Avast with the subject line: Please verify your email address. Open the message and click the link to verify your new Avast Account. Click Continue to go to the welcome page of your newly created Avast Account. 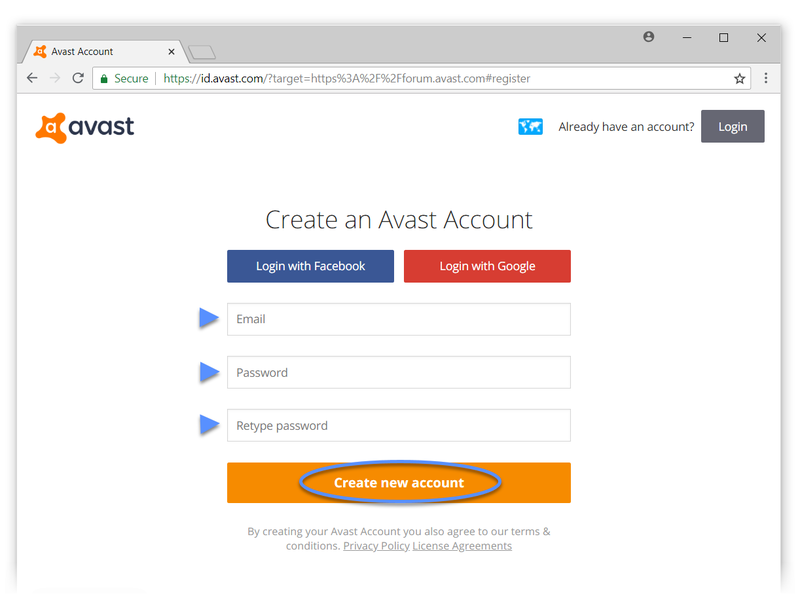 Your new Avast Account has been created and you are ready to manage all of your Avast licenses and software.